The Victorian age demonstrated an increasing in interest in history, which had first become popular during the age of their heroes and predecessors, the Jacobeans. The rise of interest in religion during the later Victorian period was translated into an interest in the religious debates and disputes of their ancestors, especially during the Reformation and Civil Wars. The antiquarianism of earlier periods led to the foundation of archaeology as a science. 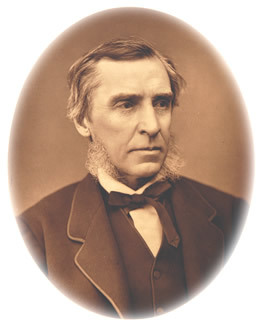 Froude was educated at the prestigious Westminster school and at Oriel College, Oxford. He went on to become a fellow at Exeter College, Oxford. As a supporter of the high church Oxford Movement he helped Cardinal John Newman to write Lives of the Saints, and he became a deacon in 1845 but he later became influenced by the ideas of Thomas Carlyle (he subsequently wrote a biography of Carlyle,) and abandoned this religious position. In early Victorian times university posts were held by single religious clergymen so the college made him resign from his job. He lived by writing articles for journals, including Frazer's Magazine and The Westminster Review. main protagonists. He wrote in an exciting way, but was not always accurate, and an author called Freeman constantly attacked his work in the press. Froude's view of history stemmed from his idea that the Reformation was a great force for good which spread progress and enlightenment throughout Europe, and Henry VIII was his hero. In addition to writing books he worked as an editor on Frazer's Magazine. Essex Libraries hold over fifty different editions of his books, as well as two biographies of the historian.